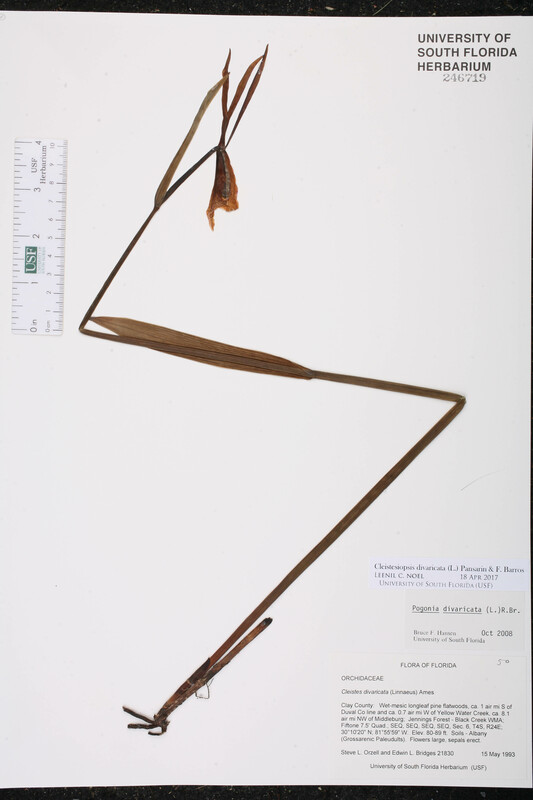 Citation CLEISTESIOPSIS DIVARICATA (Linnaeus) Pansarin & F. Barros, Kew Bull. 63: 446. 2009 ("2008"). Basionym: Arethusa divaricata Linnaeus 1753. Type: Without data (lectotype: LINN 1059.3). Lectotypified by Catling & Gregg, Lindleyana 7: 70. 1992. Duval Lit Lit = P. M. Brown, N. Amer. Native Orchid J. 1: 8. 1995. Arethusa divaricata Arethusa divaricata Linnaeus, Sp. Pl. 951. 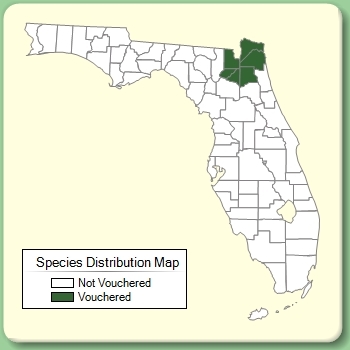 1753. TYPE: Without data (lectotype: LINN 1059.3). Lectotypified by Catling & Gregg, Lindleyana 7: 70. 1992. Cleistes divaricata Cleistes divaricata (Linnaeus) Ames, Orchidac. 7: 21. 1921. BASIONYM: Arethusa divaricata Linnaeus 1753. Cleistes divaricata forma leucantha Cleistes divaricata (Linnaeus) Ames, forma leucantha P. M. Brown, in P. M. Brown et al., N. Amer. Native Orchid J. 1: 8. 1995. 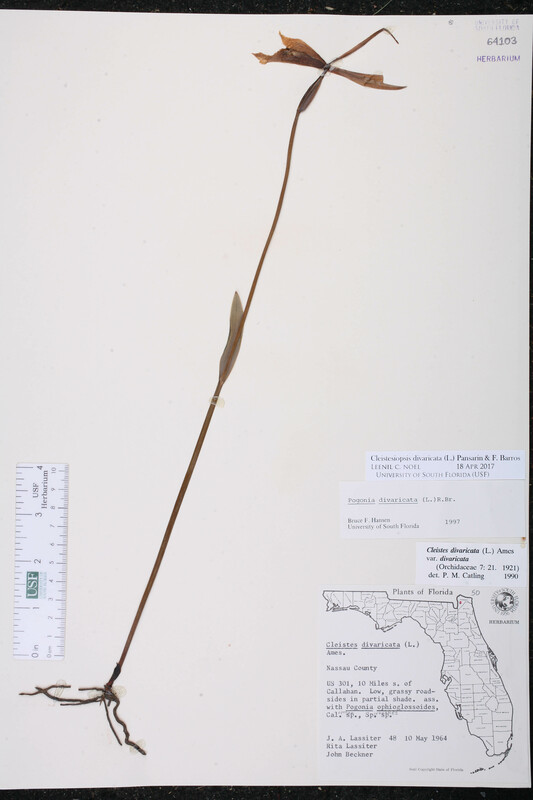 TYPE: FLORIDA: Duval Co.: Without locality, May 1960 (holotype: Luer, Native Orchids Florida t. 8(6). 1972). Cleistesiopsis divaricata forma leucantha Cleistesiopsis divaricata (Linnaeus) Pansarin & F. Barros, forma leucantha (P. M. Brown) P. M. Brown, N. Amer. Native Orchid J. 15: 52. 2009. 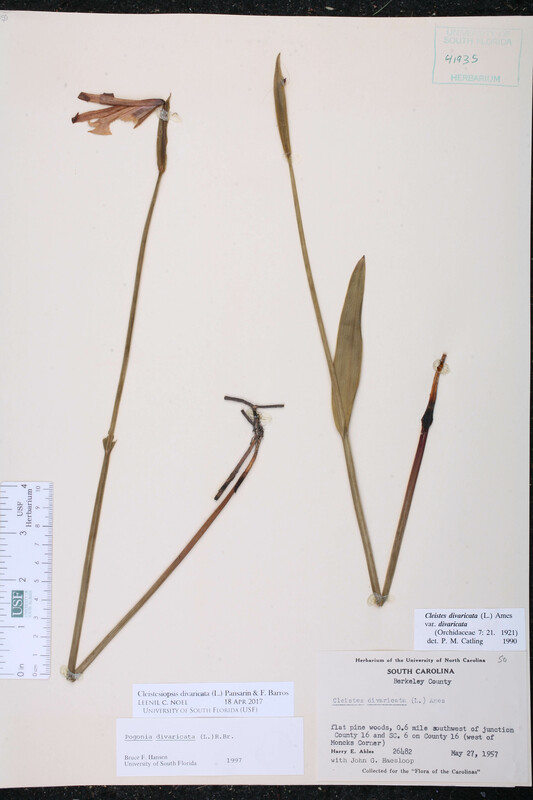 BASIONYM: Cleistes divaricata (Linnaeus) Ames, forma leucantha P. M. Brown 1995. Pogonia divaricata Pogonia divaricata (Linnaeus) R. Brown, in W. T. Aiton, Hortus Kew. 5: 203. 1813. BASIONYM: Arethusa divaricata Linnaeus 1753.